Our activities aim at implementation, working as a catalyst so thatthe fundamental rights & needs can be provided to the most vulnerable situations at the minimum time. a. Free Tution: - this is provided by specialized teachers at our free coaching centers from class IX to Xth for poor students across our society. We also provide financial assistance to poor meritorious student, purchase books, bags & other educational items for them. b. Special care to deprived children & women : - In our society women & children are still a vulnerable part because of certain social issues. We are always on their side to help them with self strengh & needs according to their deprivation. protect against domestic violence , child labour, counselling them. We also help street children and women to send them residential home with the assist of childine. c. Assistance to orphan & old age homes : - We regularly visit different old age homes and orphan house to know about their requirements and also spend quality time sharing their company. Then we arrangetheir required essentials in no time and also health checkup & medicine provided. d. Free legal help : - This includes legal awareness programe by gathering a number of rural people at various locations such as schools, local clubs,Anganwadi centers etc to aware them about their legal rights, free legal education to people along with different types of free legal services by our advocates & law officers. e. Free Medical check up : - Our organization comparises of certain no. of doctors who are always ready to assist with free medical services, provision of useful drungs through weekly health camps. f. Emergency Blood Service : - We maintain a blood donor register so that we can help the patient in an emergency situation when blood bank is running out of stock, Our volunteers are always ready to donate Blood. Please call us without hesitation we will try to arrangeyour blood within a short time. 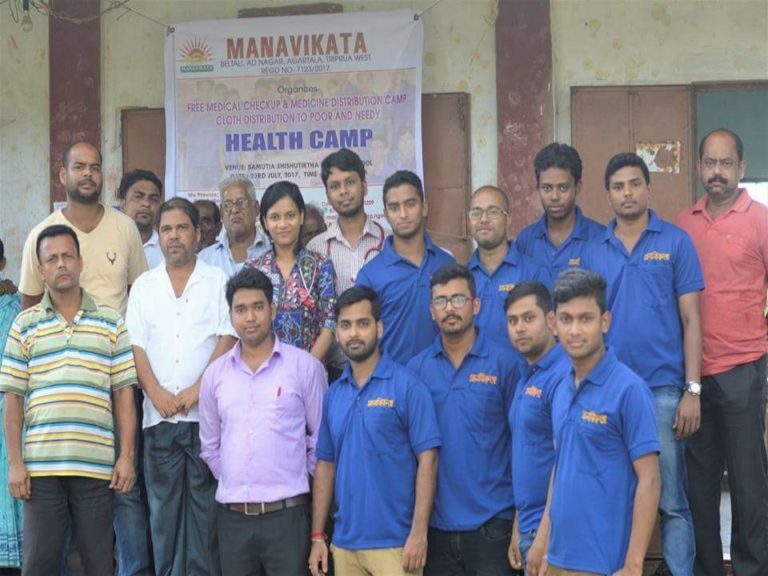 Manavikata is an abode of kindness,honesty, trust. Unlike others, Our NGO is not a not for profit organization that is independent of state and other government organizations.